Home / Download Center / Electrical Engineering Books and Technical Guides / Electricity generation, t&d guides / Are low voltage DC distribution systems arising again? Check the new 20/1/0.4 kV system. The recognized leading themes in the distribution network development are the cost effectiveness and system reliability. Until today the main voltage levels in Finnish distribution networks have been 20kV and 0.4kV. 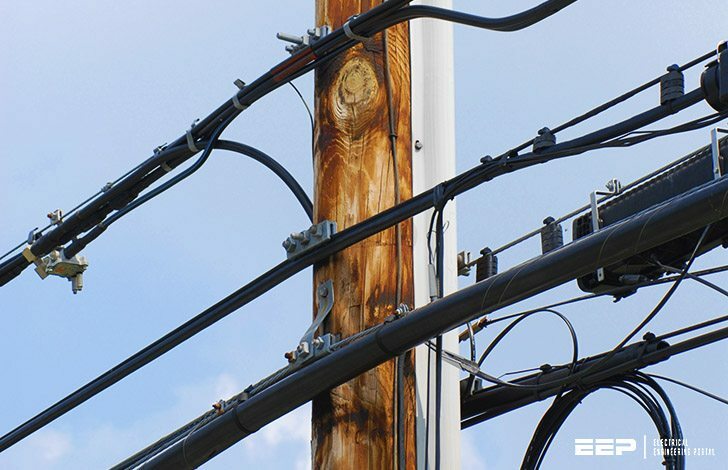 Since the benefits of the 20/1/0.4 kV system were noticed, the distribution network is now changing towards this kind of system. Thus, the 20/1/0.4 kV system has proven to be profitable solution its application possibilities are limited to quite small transmission powers and short transmission distances. As the weight of mentioned drivers of development increase with utilization of distributed generation (DG) there will be demands for novel distribution techniques. A solution emerging from the same basic idea than the 20/1/0.4 kV system is the application of DC-distribution system. Nowadays electricity distribution networks construct mainly of the three-phase AC systems. Consumer voltage in traditional distribution system is 230/400 V and the nominal frequency in Europe is 50 Hz. 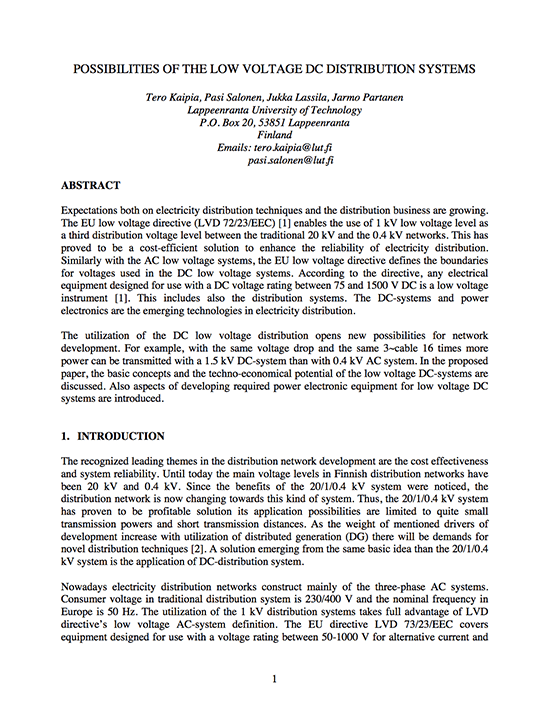 The utilization of the 1 kV distribution systems takes full advantage of LVD directive’s low voltage AC-system definition. The EU directive LVD 73/23/EEC covers equipment designed for use with a voltage rating between 50-1000 V for alternative current and between 75-1500 V for direct current. Although AC voltage rating is today used in its full capacity the DC voltage is still unexploited in distribution systems. Component prices of power electronics have constantly been decreasing in the last decade allowing power electronic devices to be used in greater number of applications. DC-distribution enables the improvement of the customer’s electricity quality beyond today’s level with lower costs compared to AC systems. A basic concept of DC distribution system is presented in figure 1.